We offer a wide variety of drum lessons or percussion lessons. Most of our students learn on a drum kit. 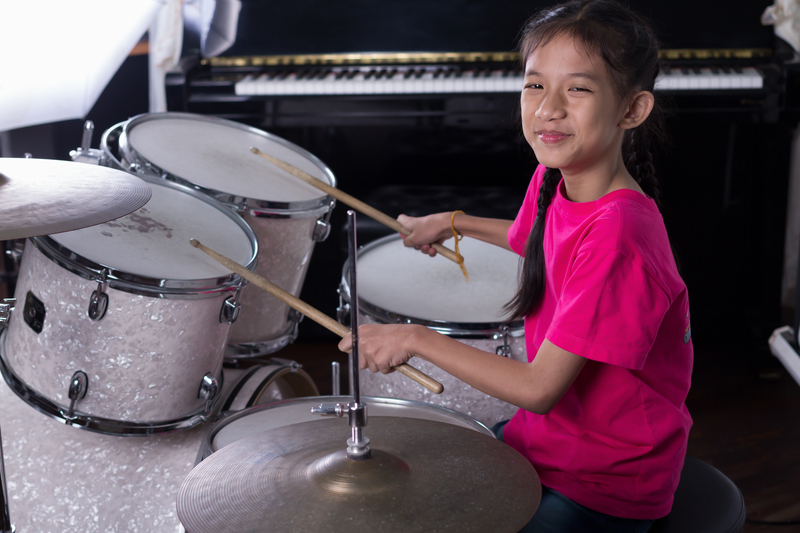 Students typically do not start drum lessons before the age 8 as they need to be able to reach both the pedals and the cymbals. We do have some younger students but suggest they come in for a trial drum lesson to see if they are big enough to get started. Drum lessons are taught on a drum kit in our studios but students are able to get started practicing at home on practice pads before purchasing or renting a drum kit. Our drums lessons stress proper technique so students become good drummers quickly. Our drum instructors have university training and are active performers. Private drum lessons are available in 30 minute, 45 minute and 1 hour lengths.